It's that time of year again and the kids will be heading back to school this coming Thursday. So that gave me LOTS of motivation to finish up some school layouts from the last couple of years. I can't share most of them as they have class pictures and I don't know how to blur out the faces in PSE. Here are the ones I can share. I really like this patterned paper. 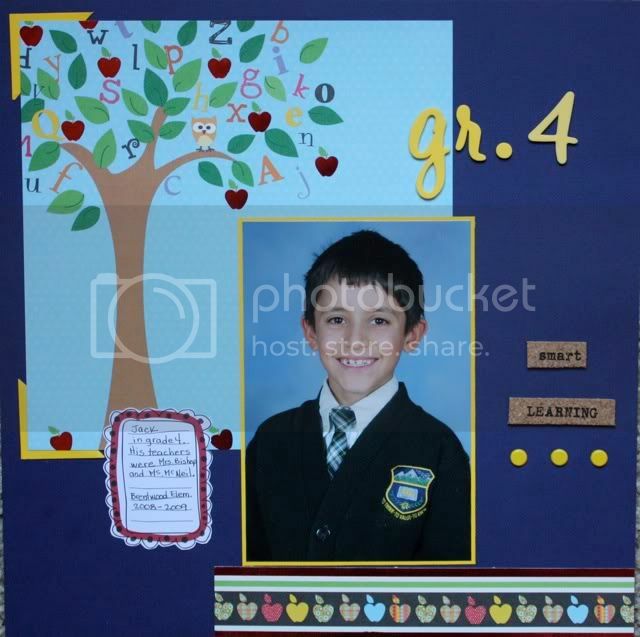 It is a Die Cuts With a View paper pad that's all school themed. 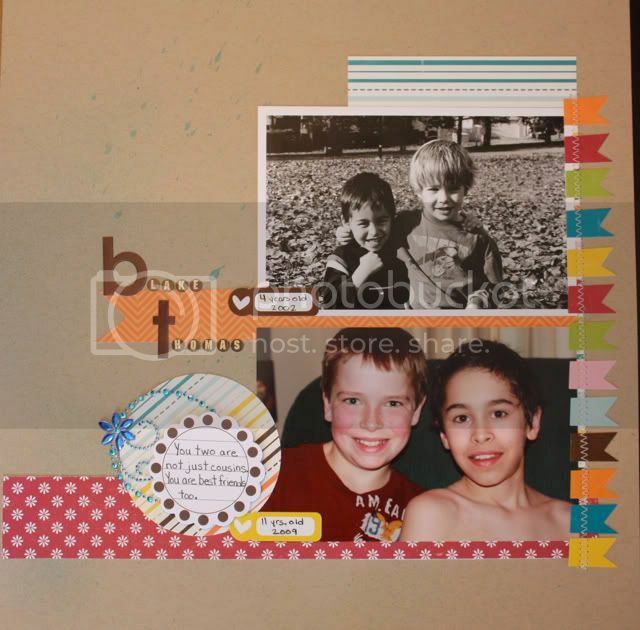 This layout uses October Afternoon patterned paper. I loved that the paper was lined. Made it perfect for journaling on! I'm including this layout because the black & white photo is when the boys were in 4 year old preschool together. 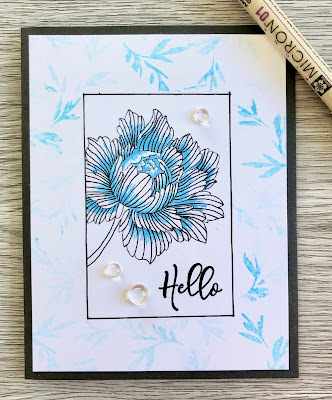 I used the Echo Park line for this layout along with a Jenni Bowlin journaling spot, basic grey bling, SEI and Cosmo Cricket alphas and Glimmermist.